The mercenaries gangs of al-Khalifa entity have stormed the area of ​​Bilad al-Qadeem (the old country) on early Tuesday, September 11, 2018, the first day of Muharram 1440 H, where all the manifestations of Ashura have been removed by the gangs . 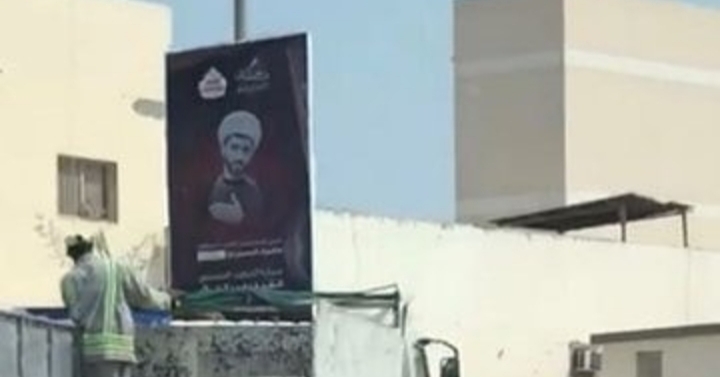 Since early morning, these gangs, which were accompanied by armored vehicles and military vehicles, have been working to tear down the Husseini flags, Ashura slogans and black flags. For its part, the Coalition of 14 February youth revolution condemned the persistence of al-Khalifa entity in its crimes of sectarian persecution against the biggest component in the country.